يقع فندق شقق بوتيك مونت كلير في منطقة تتمتع بمعالم كثيرة، وتعتبر المكان الأنسب لاكتشاف هذه المدينة رائعة الجمال و ما يحيطها. يمكن من هنا للضيوف الاستمتاع بسهولة الوصول إلى كل ما تقدمه هذه المدينة النابضة بالحياة. يقع هذا الفندق الحديث على مسافة قريبة من المعالم السياحية الشهيرة. يقدم شقق بوتيك مونت كلير خدمات لا غبار عليها وكل أشكال اللياقة وحسن الضيافة اللازمة لإسعاد ضيوفه. يقدم الفندق فرصة للاستمتاع بشريحة واسعة من الخدمات بما فيها: واي فاي مجاني في جميع الغرف, مرافق مخصصة لذوي الاحتياجات الخاصة, تسجيل وصول/خروج سريع, تخزين الأمتعة, واي فاي في المناطق العامة . في الفندق غرف نوم يتجاوز عددها 48، كلها مجهزة بعناية وجمال وبعضها مزود بـ تلفزيون بشاشة مسطحة, سجاد, بياضات, مرآة, مناشف. كما أن مجموعة الخدمات الواسعة الموجودة في الفندق لضمان راحتك تترك لك الكثير من الخيارات لقضاء وقتك أثناء فترة إقامتك. إن كنت تتطلع إلى إقامة مريحة وهادئة في المدينة، فستجد في شقق بوتيك مونت كلير بيتك الثاني. Good place to stay. We arrive early in the morning around 3am. we try to enter the code as given and it turned out a different code. Probably typo error. Called the number given at the box, and everything settled soon after that. We thought the check out was at 12pm, but it was 10am instead. Our mistakes. Called the reception, the lady gave us until 11 to check out. We wish we could spend more time in the apartment as it was a great place for 7 of us. 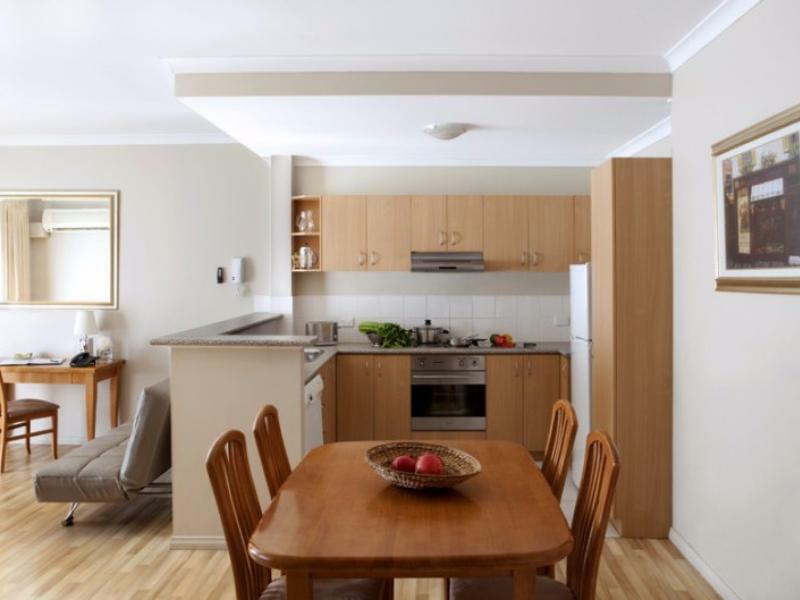 Good location and very spacious with a self contained kitchen. More like an apartment feel to it than a hotel which is a positive. Affordable parking at $10 per day. Definitely would recommend and will stay again. This is more like the type of apartment you are looking to buy - newish, very clean, spacious, washer dryer and well fitted out kitchen (including dishwasher). Some great prices can be found on-line & you can relax on the lounge & watch a DVD with a wine. Parking is provided (for a sml fee) and it's walking distance to the city centre. We got a room on level 6, lift only goes to level 5 so we had to carry our heavy luggage upstairs. Should have been told about that. We were not advised of parking charge when booked either. Room is fine but we were dispappointed overall. We did an overnight after flying in to Perth. Hotel was easy to access and check in. Apartment was clean, comfortable and had everything we needed. We walked up the road and found 3 restaurants close by. In the morning we had time to take a free bus in to the city, shop and have breakfast before we returned to the hotel to heck out at 10:00am. So convenient we will stay here again. The location is strategic especially with the price I paid. Close to the free CAT bus stop which brings you right into the city. Nice eateries nearby and a Halal kebab place even though I didn't managed to try it but that's still a plus point for me. Amenities are up to my expectation and spacious room. Thankful to the helpful staff, from the receptionist, maintenance to housekeeping. They respond to our iron replacement request and fixed our broken toilet door in a prompt manner. On the last day, I forgot about the check out time & the receptionist called to check on us and was quite lenient with us rather than simply charge us for late check out. I was really excited to bring my family to a nice hotel. Please just don’t fall for the pictures on the website, they are not accurate and are a false representation of the quality/cleaning of the apartment. The room was dirty with stains in the carpet, all the doors and walls were scratched, the badroom had mold and we requested for a change of room and was denied, they just vacum the carpets and replace the caulking at the bathroom but honestly we had a very bad experience overall. The dishwasher was old, damaged and did not worked, mentioned to the maintenance guy and they did nothing about it. Very sad for our first visit to this beautiful city. Awesome apartment, although needed some maintenance done to it. One of the stove tops didn't work and the hot plate indicator was very worn which made it hard to figure which was which. The washing machine/dryer - the dryer cylcle didn't work came up with am error and we ended up with wet clothes. The shampoo conditioner in one wasn't too great on the girls hair. Also looking in the cleaning cupboard, I think it be great if the vacuum had the poles and head attachment, a broom and a mop. Loved the bath even the kids :) The pool was awesomely cool too. The staff are awesomely friendly and helpful and if people reported all little problems then it would make it an enjoyable stay for everyone as no one like paying and not be able to use all the facilities available to them which inturns loses buisness. The apartment is opposite a convenience store and bustop. 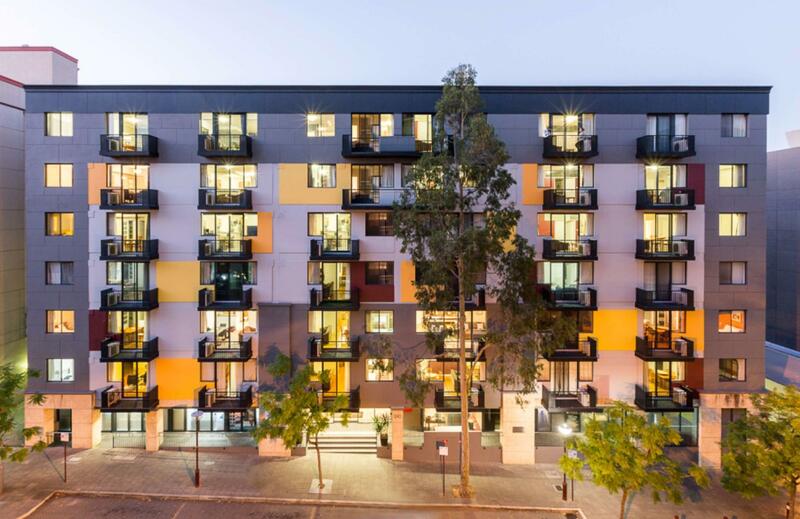 Red CAT bus stop is 200m away from the apartment thats brings you to Hay St Mall/CBD area. Apartment room is neat, tidy and spacious. 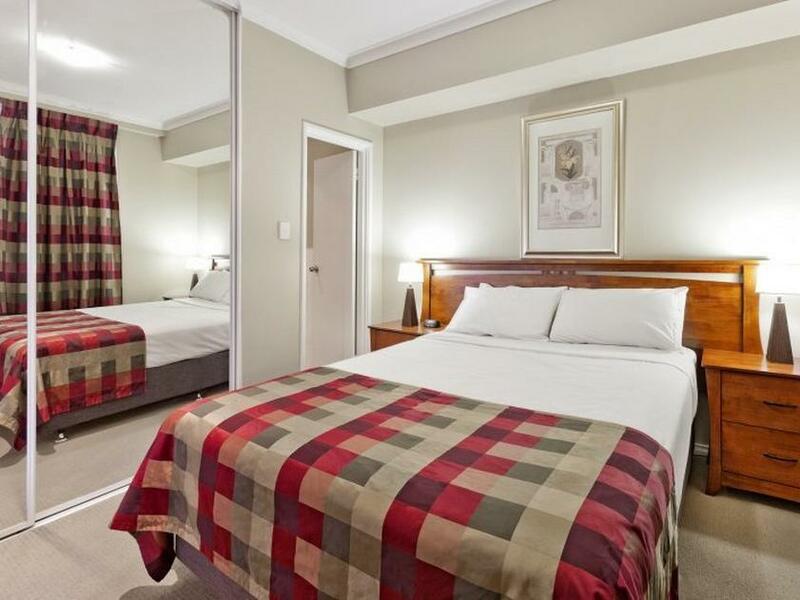 Aries Car Rental and Bayswater Car Rental is also down the road from the apartment which is 200-300m away. Overall, we love our stay here whilst at Perth! Informed the front desk internet was not good. They said they would check the switch, but made no difference. Same complaint by other guests too. 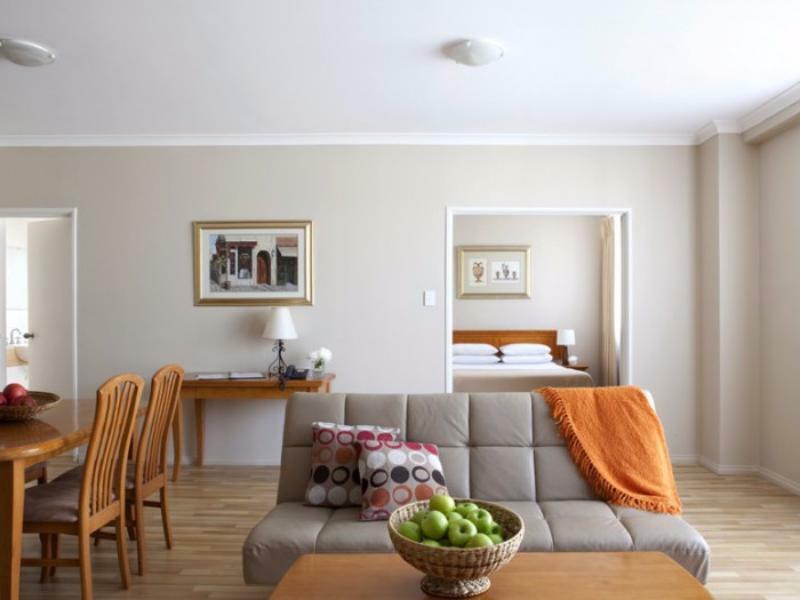 Rooms are not cleaned daily, or even every second day. The cutlery and crockery is a mismatch of things. The manager should be going through and fixing this up. Fully equipped aprtment. Full kitchen, washing machine. Location, near to Queen park. Easy to get Red CAT free bus, and green pay bus. 1 aprtment only has one aircond. So, if u think to book for summer, think again. Wifi is useless, difficult to connect and very sloooowww speed. 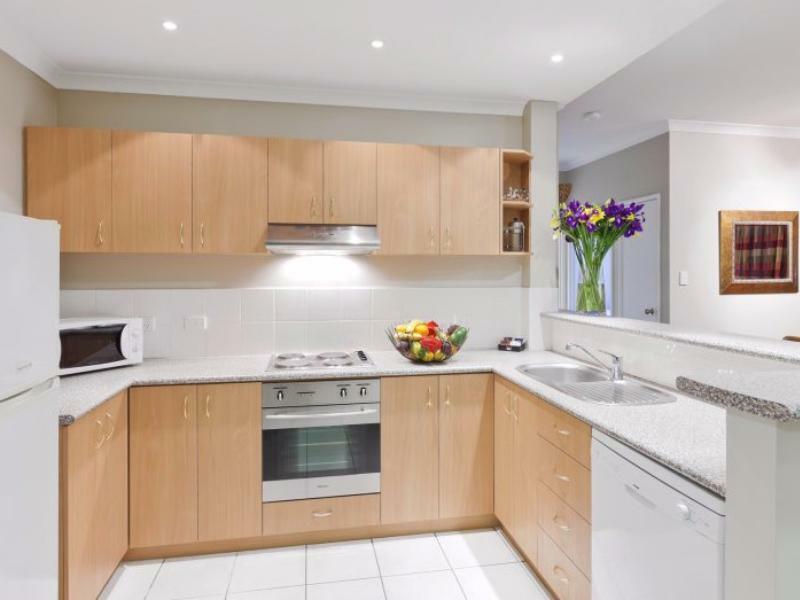 Well equipped 2 bedroom apartment with full kitchen, living and dining areas. Secure parking available, swimming pool, small gym, asthma vending machine for snacks. No onsite restaurant, however, restaurants next door and across the road. Good value for money with these apartments, second time we've stayed here in 2 weeks! Hi these apartments are clean, and comfortable. 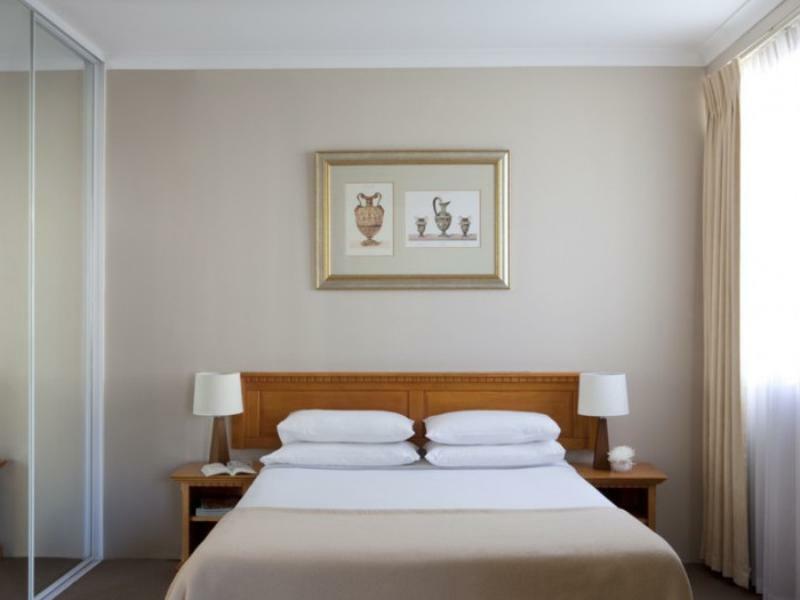 The rooms had everything you needed and the staff were very helpful. I would recommend these apartments, and I would stay again.